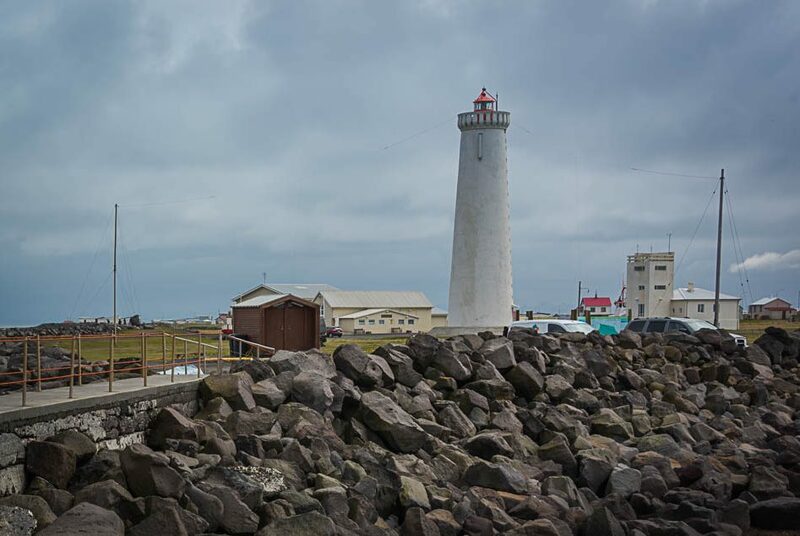 Garður is a small fishing settlement on the coast, with a handful of houses and gravel roads and about 1500 people. It has been around a long time — it is mentioned in the Book of Settlement as one of the first grants of land. It’s also the home base for the band Of Monsters and Men. 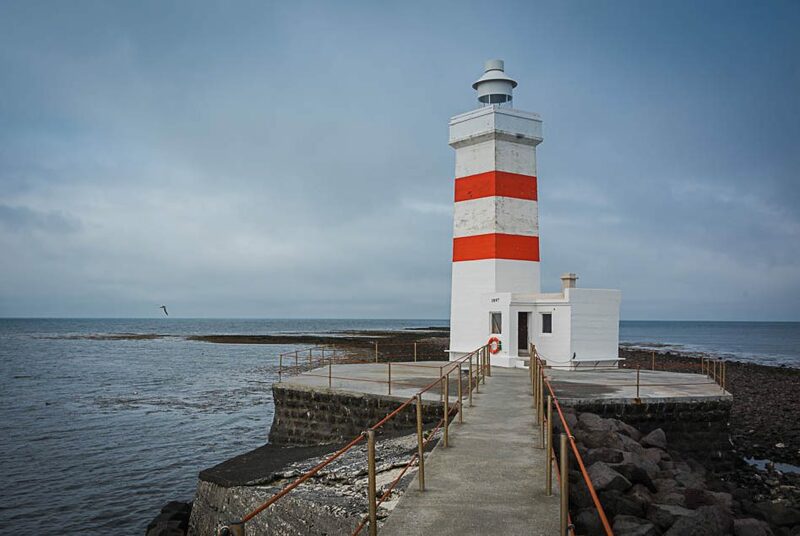 The old Garðskagi lighthouse — quaintly painted red and white — stands on a narrow spit of land jutting out into Faxaflói Bay. 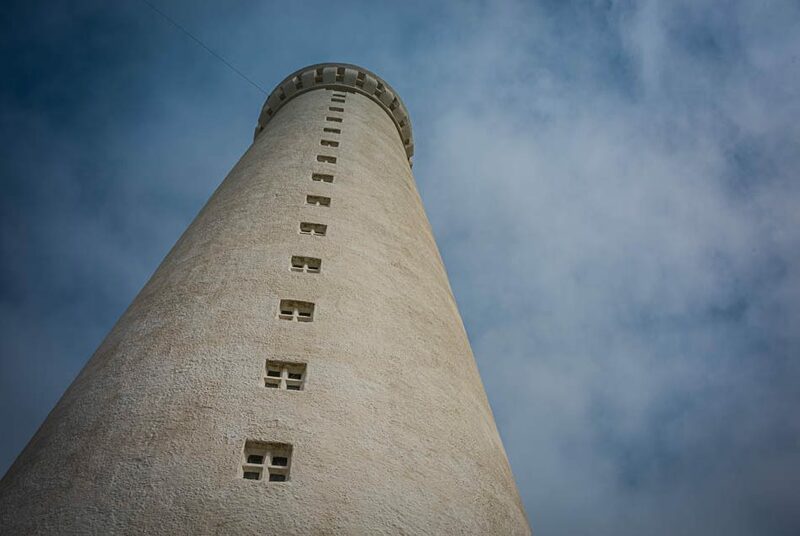 It was built in 1897 and was used well into the 20th century as a site for bird research. Its role as an actual lighthouse was taken over by the later (and less colorful) tower set a bit further inland, built in 1944. If it is open, there are spectacular views from the top. There is a campground near the lighthouse, and the town boasts a small church and folk museum. It also has excellent diving off the coast into fields of fish, algae, kelp and coral. See Dive.IS for information.